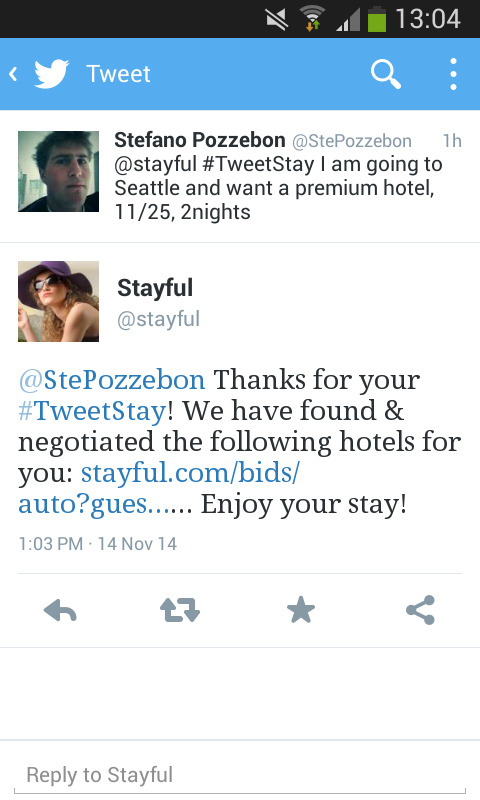 Stayful was founded last year by Cheryl Rosner, who worked at Expedia and Hotel.com. Her co-founder Shariq Minhas also worked at Expedia, as well as Hotwire. 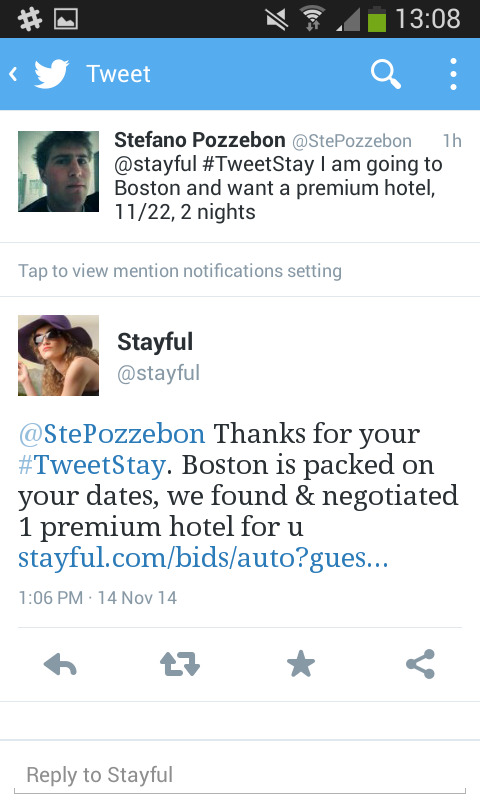 The company manages a huge database of independent, boutique hotels in most American cities, and claims it can secure the best deal on the market: “Since we negotiate prices behind the scenes in real time, we can offer #TweetStay costumers a better price that they can find online, and the process couldn’t be simpler…” says Cheryl. 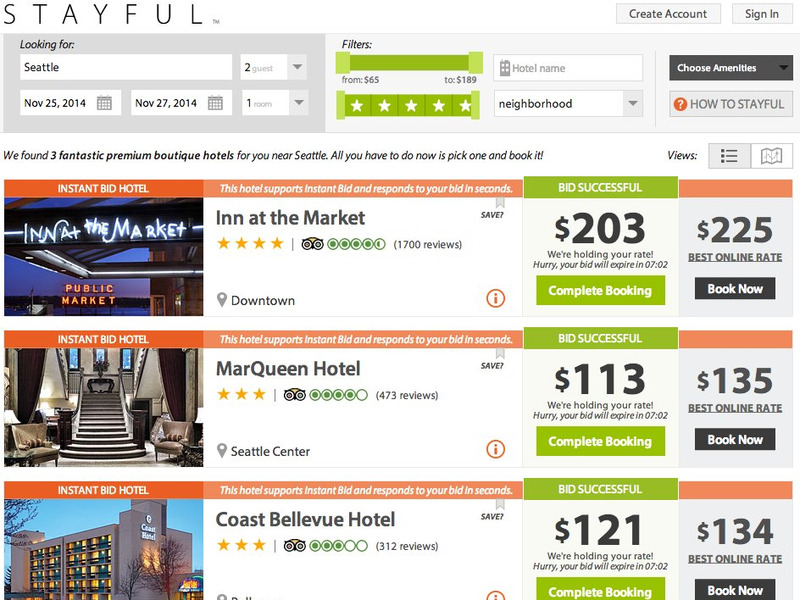 Deals tend to vary from city to city, but the company doesn’t look at the cheapest areas: the budget class lists deals normally below $US100 (£65) per night, the middle range is up to $US150-$US180 (£95-£115), and anything higher is premium.